Bristol-based Tileflair, southern England’s largest privately-owned wall and floor tile retailer, has opened its 10th store and plans an 11th later this year as it steps up its expansion. 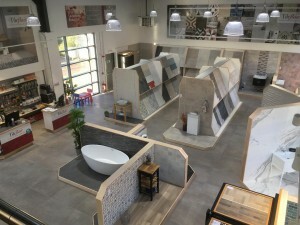 The new store, a 4,000 sq ft outlet in Oxford, is the first Tileflair has opened since 2015. The firm, which was founded in 1972, supplies the trade, contract and retail sectors with an extensive range of high-quality tiles sourced from around the world. Legal work on the new premises and building works was undertaken by the Bristol office of regional law firm Thrings, which has been a long-standing adviser to the business on a number of commercial matters, including the management of the company’s portfolio of properties. Thrings partner Robert Barnes recently negotiated two new leases for the business and, working with its construction team, advised on tenant warranties and protections covering building and construction works. Robert said: “It’s fantastic to see a local business like Tileflair continue to grow and make such a mark on their market. Tileflair managing director Matthew Johnson added: “There’s a reason why Tileflair continues to employ Thrings for legal support during this period of strategic growth. The commercial property team, led by Robert, is pragmatic and thorough, as well as reassuringly approachable. Thrings also advised Tileflair on its acquisition of KDP Tiles, led by corporate partner Mike Tomlin, and on a range of other matters including its commercial terms & conditions, data protection, distance-selling and employment. Two of Tileflair’s outlets are in the Bristol area – at Longwell Green and Cribbs Causeway – with other stores in Swindon, Gloucester, Chandlers Ford, Cirencester, Reading, Southampton and Exeter. Thrings also has offices in Bath, Swindon, London and Hampshire.